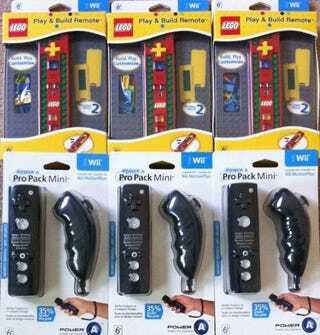 Over the weekend we kicked off a contest to give away a Power A LEGO Play & Build Wii Remote and ProPack Mini Wii MotionPlus controller to three newsletter subscribers. The good news is that you didn't have to do anything if you already subscribed. Everyone who gets the Kotaku newsletter was entered. We've emailed all three of you. Please respond with your name, number and mailing address. Thanks and congratulations. Stay tuned for the Call of Duty: Black Ops and PS3 Controller winners, which we are announcing later today.